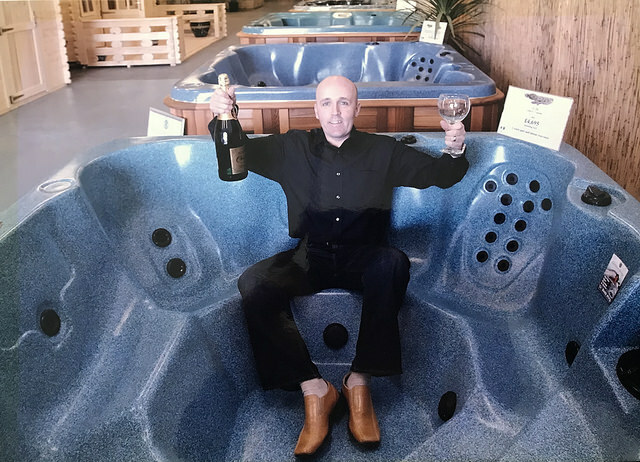 Jacuzzi and Sundance Spas hot tub and swim spa specialist Outdoor Living has been marking15 years in the wet leisure industry by highlighting major milestones and thanking its growing legion of loyal customers. Since its inception, when Paul Margerison approached Kevin Newby with an idea for a new company before Outdoor Living was created in 2004, the booming dealership has been one of the major success stories in the hot tub market and now employs 30 staff at two dedicated showrooms in Hull and Leeds; which promote the Jacuzzi range of hot tubs as well as swim spas and saunas. During the past 15 years Outdoor Living has achieved successive years of bumper sales and from the foundation established in a small business unit in Beverley the company has experienced tremendous growth and now has over 35 hot tubs on display at two sites in Goulton Street in Hull and Low Road in Leeds. After securing the prestigious dealership status from Jacuzzi for Yorkshire and Lincolnshire in 2008, Outdoor Living has gained award success by topping the brand’s sales charts in the UK and, following the launch of a second showroom in Redbrick Mill, in recent years additional major honours have been achieved. These include back-to-back Jacuzzi UK ‘Retailer of the Year ‘accolades in 2011 and 2012; followed by Jacuzzi award for most hot tub sold in the UK, Europe and Asia in 2013-2014. This period has also seen the launch of a dedicated ‘flagship’ showroom in Leeds with Jacuzzi UK occupying office space above the wide range of wet leisure products. These have been expanded in the past few years with the inclusion of the Jacuzzi Mood and Sasha saunas, as well as saunas from Tylö; plus the Brantano gazebo to compliment the Cedartree range of wooden structures, a dedicated commercial brand for holiday parks, and the introduction of the Sundance Spas range in 2016. Sundance Spas models currently being promoted to prospective customers include the multiple WhatSpa? Best Buy Award-winning Optima from the 880 Series, and the state-of-the-art Kingston from the new cutting-edge 980 Series. Swim spa models on display include options from the WhatSwimSpa? 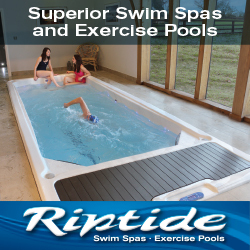 Best Buy Award-winning SwimLife range from Jacuzzi and TidalFit range from Artesian Spas producer May Manufacturing. Jacuzzi Direct, which was launched by Outdoor Living in 2012, has also helped the company to secure new customers who are seeking products from the dedicated online chemical store; which provides quality hot tub chemicals, filters, and accessories. Three years after launching Jacuzzi Direct, the website was combined with the Outdoor Living’s online presence in 2015 to provide a ‘one-stop shop’ for advice, help, and products to ensure a superior hot tub experience for the company’s customers. This year Outdoor Living has continued its high-profile promotional activities, which have previously included radio and TV advertising, with a dedicated advertising campaign in the 2018 edition of consumer magazine WhatSpa? to attract new customers; after helping television programme ‘DIY SOS’ to ensure a deserving family from Hessle can now enjoy the benefits from hydrotherapy; and entertaining Jacuzzi advocates Leeds Rhinos as part of a high-profile promotion and collaboration with the rugby ‘stars in their spas’. Now Outdoor Living Director Paul Margerison, pictured, has revealed that the company is planning to achieve further success with the ‘trusted service’ policy and has taken the time to mark the 15th anniversary by thanking customers for their support. “The past 15 year have flown by for Outdoor Living,” declared Paul ; “We could never have done it without the help and support of our many customers. Jacuzzi and its British network of dealers have also been celebrating achieving a quadruple success with four WhatSpa? Best Buy Awards in the 2018 issue. These are for the five-seater J-225, in the sub £5,999 price category; the six-seater J-235 IP, with lounger seat, in the £6,000 to£7,999 price category; the six-seater J-335 IP, with lounger seat, in the £10,000 to £14,999 price category; and the a six-seater J-575 IP, including lounger seat, in the £15,000 plus category. Meanwhile, Jacuzzi UK has been continuing a blaze of publicity with attendance at major events; that have previously included the Great Yorkshire Show, with Outdoor Living, and the RHS Hampton Court Palace Flower Show with ‘Love Your Garden’ star David Domoney earlier this year, at the Anglesey Agricultural Show, and Chatsworth Country Fair in August. The latest marketing event outings followed the iconic brand suffering a fire in the rear of Jacuzzi’s Tijuana factory during the summer. “Thankfully, no injuries were reported on-site,” reported a Jacuzzi spokesperson. “Three employees conducting routine maintenance were present, evacuated and alerted first responders. “Some manufacturing equipment and supplies were damaged. The majority of the company’s production capabilities remain intact. The front portion of the factory was inspected, granted a license to operate by the Tijuana Fire Department and was up and running again within two business days.